CHILDREN TRAVELLER: Care must be taken while travelling with children. Preparation should be done well in advance. All children regardless of their age will require a valid passport and visa to enter most countries. Special seating arrangement in planes can always be arranged if advance notice is given. Prepare for all possible travel sickness. Vaccination is important for children, so see that the children are well immunized against diseases. Remember to avoid contaminated food and water. Children’s skin is very sensitive in the sun. Take sensible clothing, high factor sun screens and avoid exposure to mid-day sun. Pool safety is very important especially when children are around. They have to be watched constantly; don’t depend on the life guard .Even if a pool has a life guard make sure you know where your children are and what they’re doing in the water. Travel sickness is quiet common in children than adults. Travel sickness is often worse on a boat or ship, long car journey especially along the winding roads can easily induce nausea. A number of travel sickness remedies are available to reduce symptoms of motion sickness .Don’t wait until the symptoms start making its presence felt. ELDERLY TRAVELLERS: The number of elderly people travelling has been increasing day by day. A greater life expectancy, better health in old age and increasing affluence have given elderly people more time and opportunity to travel or visit friends and relatives abroad. The elderly people are more vulnerable to many sicknesses like HIGH TEMPERATURES AND HEAT STROKE, DEEP VEIN THROMBOSIS, HYPOTHERMIA, and FATIGUE AND EXHAUSTION AND THE EFFECT OF LOW OXYGEN DURING AIR TRAVEL AND AT HIGH ALTITUDE. But there are some guidelines when one must consider when planning the journey of a life time or a world cruise. Good insurance should be obtained. Travel should be planned carefully. A pre-travel consultation should be booked at the travel clinic. Choose destination with medical facilities and infrastructure. Medicines should be kept in hand luggage with plenty of stock. THEREFORE IT IS IMPORTANT TO BEAR IN MIND THAT ELDERLY PEOPLE ENJOY FOREIGN TRAVEL AND SHOULD NOT BE PREVENTED FROM DOING SO. TRAVEL DURING PREGNANCY: Travelling is usually possible with proper precaution and armed with information when to travel, vaccination needed and insurance. Before planning your trip and before departure always undergo a medical check-up. Find out whether at that destination proper medical facility is available. First three month is crucial so avoid travelling during the first 3 months. Flying is not harmful to you or your baby but discuss it with your doctors. Make sure your travel insurance covers you for any medical illness. Take care to avoid contaminated food and water which could lead to stomach ache and diarrhoea. 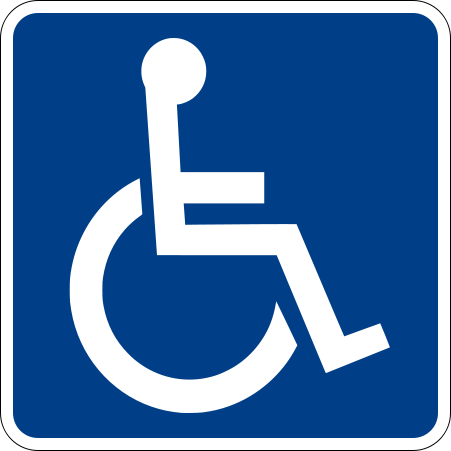 DISABLED TRAVELLERS: Some organisations and tour counties arrange trips for the disabled when mobility problem like the Disabled holiday guide has been created to bring a choice of holiday opportunity to those living with special needs and mobility difficulties. Denied boarding, treated badly, poor assistance, additional charges to receive assistance, loss or damage to mobility equipment and assertive devices. Airlines are usually very helpful and provide assistance if informed well in advanced.